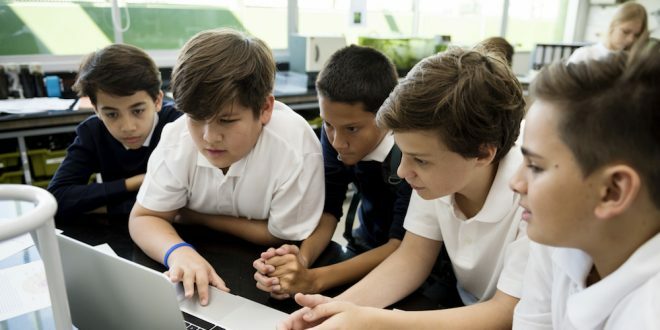 Are schools equipping students for the rapidly changing digital world? Schools are investing time and money preparing students for the digital future but according to business it’s not enough. A new report from industry calls for changes in education to prepare for the ongoing challenges of digital transformation. The Australian Industry Group’s report Developing the Workforce for a Digital Future looks at what businesses need to do to and the changes needed education and training to help deliver the economic benefits of the rapidly changing business environment. “Businesses are becoming increasingly alert to the fact that their business model could be upturned overnight,” Australian Industry Group chief executive Innes Willox said. “Automation and robotics, once largely confined to manufacturing, along with digital technologies pioneered by the ICT industry, are now having a transformational impact across the economy. Major technological advances are changing the nature of the link between technology and work. School systems need a significant focus on providing digital and ICT literacy skills as all future workers will require these. The VET sector needs to focus on higher level skills for enterprise systems and analytics, security and digital innovation. Education and training systems need to improve basic and advanced skills in the STEM fields of science, technology, engineering, and mathematics, and with a new emphasis on the enterprise skills of creativity, complex problem solving and critical thinking. There needs to be a renewed emphasis by education and training systems and companies on management development and workplace innovation, to drive companies through constant change. Companies and workers need to be provided with greater opportunities for new skilling whenever required as a result of constant new technologies and change. This includes the development of micro-credentials and lifelong learning initiatives. Closer links between companies and the school, VET and university sectors are needed to benefit the business sector and the community through greater work readiness, access to new ideas and refreshing organisational culture. “Ai Group’s report also includes advice for businesses planning for the future such as regular upskilling of their workforce to adapt to requirements of the digital economy and investment in research and development. Work practices also need review as digitalisation transforms entire business processes. “The digitalisation of our economy is gathering pace and is becoming a disruptive moment in our history as we move deeper into what is becoming known as the fourth industrial age. This can be a positive if all parties play their part in developing the capabilities we need for the future,” Mr Willox said.